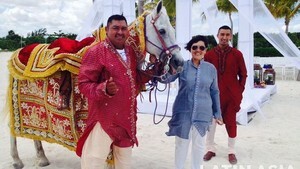 As bridal industry experts, we know the gorgeous, the fabulous and also the ugly around the hood when it comes to a destination wedding in Cancun and Riviera Maya. Read from “Expert’s advice” to find proven, real advice that will help you succeed or avoid any possible problems. Check out “Meet vendors” to discover great venues and vendors that will certainly help you get organized or provide exactly what you are looking for. Take a look at “True Stories” and get to know the fabulous and beautiful but also the awful experiences that take place in real weddings so you can avoid them or embrace them for your very own destination wedding. “Behind the scenes” will give you an insight into what goes underneath the surface of the wedding planning process, the hidden details that will deepen your understanding of how weddings happen from start to finish.